This is an edible ingredient, which we actually… can not eat. 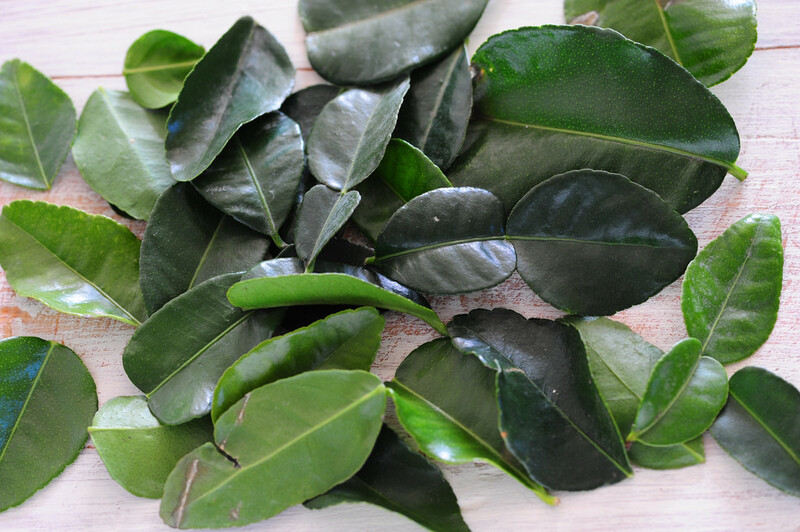 Hard kaffir lime leaves are not easy to chew – but ideal ground boiled or fried: then give us all their citrus aroma. 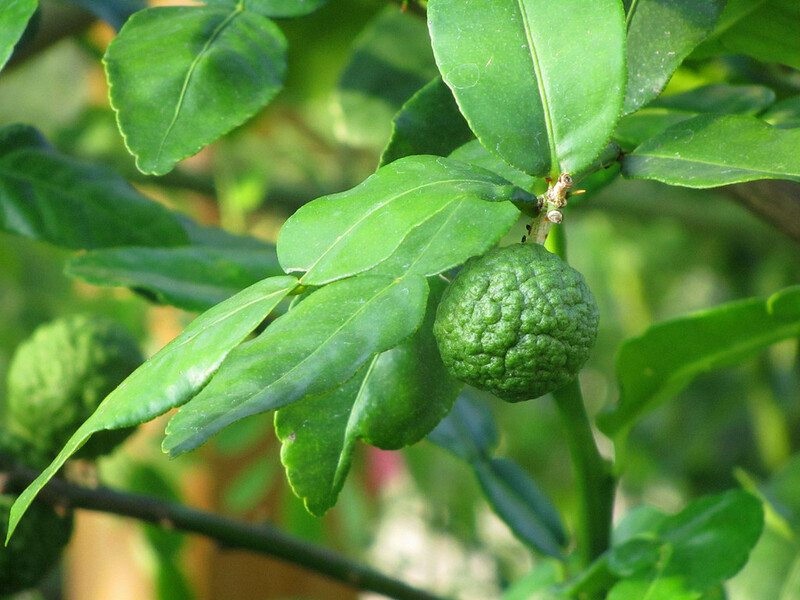 Kaffir, kaffir lime, bai magrut – also called wild lime, Thai lime, kaffir lime or citrus folded – This citrus occurring in the region of Southeast Asia. Its fruit look like puffy, dark, wrinkled lemon or lime – the fragrant peel is used to tighten the taste of oriental dishes. However, it does not peel, and the leaves – as dark as fruit, small, shiny, often in the shape of a double ellipse – is one of the most aromatic spices of the world. 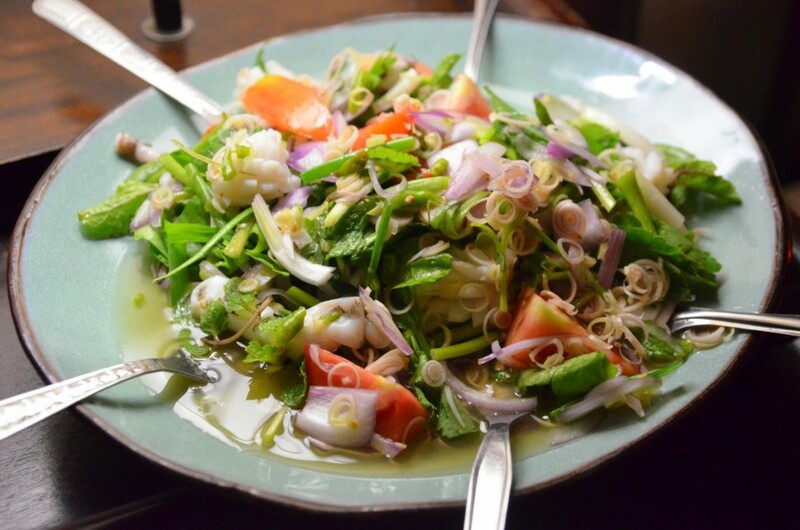 Indispensable in Thai cuisine (right next to the ginger, lemongrass, galangal and chili) give the dishes a pleasant citrus flavor. There is no one flagship Thai food – refreshing and essential soup Tom Yum (hot-and-sour, which kaffir complement lemon grass juice and lime) and Tom Kha Gai (almost dessert, but still spicy, seasoned with lime and chili soup of coconut milk ) and curry pastes. The latter is the guarantor of giving a multidimensional, condensed – and usually acute – a blend of spices lightness. Similarly, the wywarami vegetable and meat dishes and marinades for meat, fish and seafood, where kaffir great works. The simplest use? If you want to get lightly flavored with citrus rice – enough to throw a few leaves of lime into his cooking. Sometimes you can treat them like bay leaves: refresh vegetables, meat and fish “stew”, but also provide an excellent basis for the ice cream, as mentioned laurel leaves. You can, for them to make lemonade: best mash “base” in a mortar with all particles of lime, lemon grass and brown sugar, then pour the water. The best are of course the fresh leaves, although used in the kitchen are also dried and (much better reflecting the flavor) frozen. If we find a young, sometimes they are so soft that they can chew and can enrich them lettuce – eg. Pomelos or ordinary potatoes that perfectly combine with citrus flavor. Just like the rest of … french fries – the street food version gourmand, with an Asian flavor, you can eat eg. In some elegant restaurants in Dubai. Meanwhile, Danny Bowien, superkreatywny head with pop-up Mission Chinese (first located in San Francisco, now having also its branch in New York) with leaves kaffiru making drinks: plays soup, Tom Kha Gai, but in the version of sweet, with a hint of alcohol. The syrup with coconut milk so the sail and stalks lemongrass, and slices of galangal, chili pieces, and of course – the list kaffiru. Brilliant!